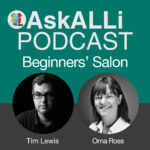 On the AskALLi Beginners’ Self-Publishing Salon, Orna Ross and Tim Lewis look at the topic of using beta readers in your self-editing process. A beta reader is a trusted book lover whose opinion helps you to do a final self-edit on your book before sending it to the editor. But how do you choose the right beta readers? And how do you ensure you’ll get constructive advice on your manuscript and not just a review or opinion? Howard Lovy interviews J. Dianne Dotson. Dianne is both a science and science fiction writer who is publishing a series of books, the first of which is called Heliopause: The Questrison Saga: Book One. And that’s where Dianne shines as one of our favorite kinds of science fiction authors— one who actually knows about science. Howard and Dianne discuss how to find the perfect balance between science and fiction. Orna: And we are live. Hello, Mr Tim Lewis. Orna: And I am Orna Ross. Hello, everybody. Great to have you here this evening with us for the Alliance of Independent Authors Beginners Self Publishing Salon. And this week we’re going to be talking about beta readers. We had a conversation before we came on about whether it was going to be beta or beta. So American cousins, please forgive us. We say beta on this side of the water, so we’ll probably say that most of the time thought Tim did say he might say beta every so often, just to, you know, be all global. Orna: Yeah. So what is a beta reader is something we’re going to be talking about, why you might consider having one or more of them and how to actually ensure that you use that reader, which is an invaluable resource. You’re asking somebody to do something that’s really, really valuable to you and to give up quite a bit of their time and energy, you know, how to make sure that you’re getting the best value from their work for you and that you will receive the advice in the best possible way so that your book benefits to the greatest possible advantage. So, Tim, do you want to explain what we’re talking about? What’s the difference between a beta reader and an editor or your critique group or your best friend? Tim: Well, normally a beta reader is somebody who gets the book after the editing process or sometimes before, I mean like it’s a bit vague, but it’s not designed for somebody to do editing of the book. So it’s not really somebody who’s designed for proofreading or for general light construction or structure. Some people do kind of use Beta readers as an extra stage because people will inevitably find mistakes. But it’s mainly for people who understand the genre, ideally and or to see people’s reaction to the actual book, that’s the main thing. So if people don’t understand, say, like, you’ve written some complicated time travel book and nobody understands it at all, but that’s may be a signal that you may be need rewrites or other things in terms of it. Also a lot of authors use Beta testers and what we call street teams as people to be available for writing reviews of the book as soon as the book’s out. So it’s kind of like a process between the final edit and when the book actually officially released where you have a group of people who were Beta testers or beta readers, came from the old IT thing there who are going to check out your book or your product and will be, hopefully they will all love it and then there’ll be available to go and write reviews straight away. So there’s a whole number of reasons why people use beta readers, but it’s not really a replacement for editing per se. Orna: I think that’s the most important point to make that the beta reader does not replace the editor. And as Dan says there, they can happen either side of the editing process, classic Beta reader is, I think, when most people think about it they’re thinking about you finished the manuscript, you can’t do another thing with it, you’re sick to the back teeth of it. You never want to see it again. You’re not actually capable of improving anything at this stage, but actually it probably would benefit from some feedback, you know, some, so bringing people in at that point pre the, actual, official as it were, editing stage and then later on after the editing stage, it’s a different thing. This is more about the people who read it and spread the word. So we’ll be talking more, I think about the first kind of beta reader today because I think these are people who can really, it’s a really, really useful thing to do with your book and particularly your first book, at the beginning, it’s really, really, it’s highly recommended that you would include this stage because to be honest, when you’re learning to write, and particularly to write fiction or poetry, but nonfiction too, you need all the help you can get. So you make great progress. It’s a learning by doing experience. You know, you’ve gone through everything you’ve gone through in terms of writing it and you will have learned a huge amount of writing in the process, but you get lost long forms for the first time, especially, just manipulating a lot of words. A lot of text is challenging and we get lost. There is loads of things we don’t know we don’t know about our manuscript that a beta reader can kind of see. So I think one of the most important things is to frame good questions for your Beta reader. So, can we just talk a little bit about the kinds of questions that you could ask under the three, you know, the three divisions of writing, if you like, the fiction, poetry and nonfiction. So, do you use beta readers yourself, Tim? Orna: How did it go? Tim: It was okay, I mean the trouble is you do, you can, I provided them a lot of questions. I think at the time I think everybody ignored them and just told me what you, I mean, in some ways it’s one of these chicken and egg things. You ideally would want people who are fans of your genre to read whatever book is. So if you’re writing science fiction, then you want science fiction fans to read it because there are genres and tropes and things about specific things. So if you just get any old body, and I basically got any old body, really a few people they were like English teachers on youtube, basically read it through, and that’s kind of, that’s the whole editing versus beta reading thing where really what you want, if you’ve got a series of books, fans of the first book are people you want beta reading the second book, ideally. Orna: That’s really interesting. So it’s like pretty much every part of this process that you get better answers as you go along. So the first time you used a beta reader, it probably won’t be the best experience, but then you build on that so the next time you kind of do better. So I think it’s really important that the questions you ask are not vague and open ended. And so rather than, this isn’t about getting their opinion of whether your book is good or bad. Forget about that question. You know, they will, you will want them to tell you that it’s great. And they will want to be able to say that it’s great. But actually all of that’s irrelevant. It doesn’t, it doesn’t matter. That’s not what you’re looking for here. You’re looking for stuff that’s much, much more specific. So let’s take fiction to start. And by the way, if any of you have any questions, if you’ve ever worked as a beta reader for another writer, if you’ve ever used a beta reader yourself, we’d love to hear about your experiences in the comments or indeed if you have specific questions about how to use this service and how to make sure it goes well for you, please do ask your questions in the comments. So yeah, speaking of questions, I think, let’s take fiction. I think first of all, the first question Tim kind of referred to earlier there you need to ask, was there any point of the book that was confusing to you? You know, where did the book confuse you? But not just did it confuse you, at what point in the book did you actually start to feel confused? I think that’s really important to kind of get out of the way. First of all, the character, you’re going to want to explore and see if your character, your MC, your main character had the effect on the reader that you were trying to make him or her have on the reader. So you need to ask questions around that very specifically where you try to draw out what they thought without telling them what you wanted them to think. So you know, that kind of gently probing question I think is really important. What do you think on fiction? Let’s look at fiction first. We’ll talk about the others in a minute. Tim: Well I think also, depending on how you presented the book, actually asking what genre that people think the book is in might be a good question because often the time authors misclassify because you don’t necessarily know these, especially with the subgenres, I mean obviously if it’s a cyber punk book and you’re doing it as kind of dragon fantasy or something, there’s something quite wrong there. But and also, I mean, again, it depends on who you are asking to be as beta readers. But the question is did you, did you actually finish the book? Because some people won’t and if it’s like, well why didn’t you finish a book? It was that because you got bored in a particular section. Did you skip any sections of the book? Did you find any parts of it repetitive. So yeah, it’s about the nature of the actual story in terms of how somebody who is a fan of that genre ideally would come back to you. Orna: Definitely. And if they did fall off, you know, at what point did they fall off? It’s interesting that a number of the ebook services now are able to say where a reader stopped reading in a book. That’s really fabulously interesting information that if only we could get it as authors, it would really help us I think to see where our readers get bored or confused or, you know, just give up on us. I think, staying with fiction for a moment and we have Brian is particularly the interest nonfiction on, don’t worry, Brian, we will get to nonfiction but just staying with fiction for the moment, I think it’s really important that you ask questions about all the classic elements of fiction. Even those that you may not have particularly majored on. So you should have questions about setting, you should have questions obviously about the characters and characterization. You should have questions about the plot. You should have questions about the theme. What did they think the theme was? You know, so all of the, you should have questions about the dialogue. You know, did the dialogue feel realistic to you? How would you describe the dialogue and you know, can you give examples of where it worked well? What did you like least about the book? What did you like most? You know, very specific questions. Those two questions I think should apply whether we’re talking poetry, fiction or nonfiction. I think you should always ask those two questions or even what were the top three things you liked about the book, but you learn far more from the other questions, what are the three things you liked least about the book? So, you know, you want to encourage them to give you constructive criticism, but criticism, critical feedback. You don’t have to accept every bit that you get but you have to kind of actively try and get that from people. Because people are reluctant to tell an author what they really think about a book sometimes because they don’t want to do the hard work of working it out or they’re not really quite sure but often too, cause they don’t want to hurt your feelings. So you’ve got to make it really clear to them that your feelings won’t be hurt or you know, even if they will, you can go and kick the cat or go scream out a window. But don’t, don’t respond to them. Tim: We’re not advocating cat cruelty here. Orna: No, of course not. Metaphorical cats. Orna: Anything else for fiction? Tim: Well, I was going to make a counterpoint because many, many years ago, in a universe far, far away, I did a statistics course about survey methods and something to be aware of is that if you ask too many questions then you’re likely to get a not as great answers towards the end of the question thing. So, it’s obviously a balance cause there are important questions for every book in every genre. But you don’t want to be giving people like a 24 page survey question sheet because page twenty three or probably be, even if multiple choice, so there has to be a balance really. Orna: I think that’s a really, really good point and I think that leads on to understanding that it takes a while. You know it’s going to take a bit of your time to get the most you can out of this beta reading experience. You need to work out which are the questions that are most important to you. Tim: Put them at the top. Tim: Put them at the top of whatever list of questions. Yeah. Orna: Yeah, exactly. Put them at the top. Also making clear to your readers that they don’t have to answer every question that you get. Orna: It’s much, much easier. Well, that first book really is a baby. And, you know, I’ve said before, we’re all this kind of crazy postnatal mania sets in after we’ve produced a manuscript. We can be very, very emotional and very, very tender and that’s not the thing to bring into the Beta reading process, you know, as an author you’re preparing for a life long experience of people, of inviting people to critique you, be your Beta reader, your editor, and then your reviewer and your family and friends won’t like the bulk of it. Orna: And you know, so many other people and part of our job is learning how to toughen up around that stuff and how to be resilient, able to listen to constructive criticism, take onboard what’s being said without necessarily agreeing with everything. So it’s bit of skill, bit of practice practice. Definitely if you know you’re touchy, if you know that you are likely to be prickly in response doing the work in advance to ensure that you don’t respond in a way that where somebody has gone out of their way to give you feedback and read your book, which is a, you know, a heck of a thing for somebody to do for you that you appreciate that regardless of what they come back with. Tim: Yeah. How long a time would you reckon people should give Beta readers to read the book because I mean, obviously it’s dependent on how long the book is, but what is a reasonable time to read, say 100,000 word novel or 50,000 word nonfiction book or something along those lines. Orna: It’s a great question because you’ve got this balance of you want them to kind of read it and respond when the material is warm. So you don’t want to give them too long because they can actually, you know, put off reading it or else read it and not write up a report or you know, kind of forget about it then and blah blah blah. So you want to give a reasonable amount of time but you don’t want to give too much time. So I think, you know, you’re looking at something like three to four weeks I think is a reasonable amount of time for a book of that length if it’s shorter, a bit shorter. I don’t think you could ask somebody to read and respond in less than two and a half weeks, you know, two, two and a half weeks even on a short book. I think you, you know, respecting their time. So you have to also time it into your process, knowing that it’s going to have to go from them to an editor and then on to a, you know, everything else that has to happen. So, you know, don’t rush this is I think the most important thing. Make sure that you have, if you’re going to do it, that you built in a proper amount of time, not just for them to read it and respond to you, but for you to then integrate what they’ve said, and do that pass through the manuscript and depending on the level of their responses, you may need to do a few passes through. I think it’s very useful when you’re passing through the manuscript to go through for different aspects of the book on each pass rather than trying to do everything all together. Specifically then nonfiction. Would you think there are differences, Tim, in terms of what we look for as nonfiction readers? Tim: Yes, I would guess, I’m struggling to think if there’s any of those at the moment, but I’m hoping you’ll enlighten me cause clearly fiction and nonfiction are quite different and also nonfiction varies vastly by genre, I mean sort of, memoir’s one thing and the how to book is quite another thing. Orna: Up at that end of the scale. And then down to very nuts and bolts kind of practicals. But I do think one of the differences between fiction and nonfiction is that most important thing, far and away, more important than writing style or anything else is that the book has the value that the reader, you know, bought it for with nonfiction. So with fiction and with literary nonfiction, you’re essentially selling a feeling, a response, a feeling response. You’re entertaining, or amusing or making sad or da da da. But essentially they’re going to walk away from your book with sort of imaginative responses and feeling responses. With nonfiction, the bulk of nonfiction, 95% of nonfiction, which is about kind of how to do something or why you would do something or what’s wrong with something, the main thing is that, you know, there will be a sort of a question in the promise of the book, the book will be promising to answer a question or a problem. It will actually be presenting value to the reader and the main thing that you’re looking for is that they’ve got their value, that they got the answer they went looking for when they picked up your book and that it proceeds logically from start to finish. So very specific and as Carl says, “a topic that is unfamiliar to many but hugely relevant obviously, particularly at the moment and with philosophical dimension which is sorely needed in that arena. Yet I wanted to reach those who are new to the subject. So getting feedback from a diverse group was valuable.” So you did find it valuable Carl, it’d be really good to hear from you. And if you have, you know, if you could kind of fill us in and Steve, Steve, second year ALLi member here. Hi Steve. That’s great. Glad you wanted to hang around for a second year. That’s wonderful. Okay. So there’s a couple of things in here. This kind of plays to your point, Tim, of making sure that you get the right people, the right beta readers, are beta readers or critique partners available through ALLi? Well, you can definitely put out a call in the forum and explaining, you know, what your book is like and some of the things that you said there, which would make it very clear where your book was coming from and I think you would find amenable Beta readers in the group for sure. But we also have a very interesting partner member called Scribophile and that is actually a Beta reader service. So you tell them about your book and they match you to beta readers who are right for the book because, yeah, that kind of experience that you had there is really, it’s just useless. It’s kind of a waste of everybody’s time if it’s the wrong people. Have any thoughts on that one, Tim? Tim: Yeah, no, I mean, I think it’s, ideally you want people to understand the book. But then again, it does come back to, like, if you’ve got a book which is House of Fish, then that could be more general kind of beta reader as opposed to sort of Shakespeare’s, like, best plays or something. Then you don’t want to run to people who have never read any Shakespeare reading it. So a lot depends on the book but yeah, you do need, cause otherwise it’s kind of pointless, really, cause you may as well just find 10 people off the street and give them a book. If you’re going to do that. Orna: Interesting here, Jack. Jack Aore, “I’m a member of Scribophile”, which is great, love to hear more, Jack. And he says it’s a bit different than using beta readers for your whole manuscript. But it’s good way to get some practice with giving and getting feedback. So would love more feedback from you, Jack, about exactly what happened there with Scribophile, it was my understanding that they were a beta reader service. So obviously there are some distinctions there, which I, maybe you’d be able to fill us in on that, but he does recommend the service and he hopes to use beta readers for his entire manuscript when it’s ready. So good luck with that. Brian is working on the second edition of a four year old nonfiction book. I used some beta readers for the first edition. I would go back to that audience for the second edition but was seriously considering using social media groups I belong to and contribute to around the subject matter, which is building design, construction and asking there for beta readers. Now, Tim, you’ve done a really good book on social media. Jack is or, sorry, Brian is asking, any experience with using social media, carefully obviously, in a pointed way to get beta readers? Is that something you came across when you were researching your own book? Tim: No, not specifically for Beta readers, but actually, yeah, it’s going into Facebook groups, Twitter chats, like we’re going to have one in a minute hopefully that are specifically for your book’s subject matter. You do have to appreciate that people in those groups may not be people, you want people who are subject matter experts and people who can read quickly, because there may be people who say like, “Oh yeah, I’ll read your book.” And then when they actually two months later they’ve not read it. So yeah, but social media is a fantastic way to find people. Twitter especially because Twitter is totally open, so you can see everybody on the network where Facebook and Linkedin and other networks, you have to go to groups to find people. So yeah, communities on social media are a great place to find beta readers or any connections really, to be fair and reviewers as well. Orna: Yeah, I agree. I think it’s great idea, Brian. I really would think it’s a good idea. And I think Twitter lists could be used very effectively over time as you’re writing and researching a book to actually build up people who have the interest so that when you’ve got the book put together, you would have a list of experts in the area who also seem to be bookish because you’re really looking for three things. They’ve got to know what you’re talking about, you know, be an expert either in the genre or the subject matter if it’s nonfiction, um, and or genre, indeed, because nonfiction breaks down into lots of different genres itself. They’ve got to be good readers. You know, they’ve got to be people who understand books, have read a lot and you know, know what a good book looks like, feels like and the difference between a good, you know, where a book begins to fall down and then they have to be good at giving, you know, and expressing those part of, you know, what doesn’t work for them, what does work for them, able to identify it and be quite articulate about it. So I would finish, again, by just saying you are asking a lot of these people and to be cognizant of that. And two, if you are going to go into this process to realize you know, that it is important and it’s a process. It’s going to take time from you and it’s going to take emotional energy from you and to bring all of that with it. Do you have any kind of closing thoughts? Tim: Would you suggest people paying and compensating the Beta readers? I mean, obviously a free copy of the book. Orna: Yeah, obviously they get a free copy of the book when the book comes out. I don’t know about actual payment though certainly it’s something you could do. I think if your, that’s more like paying for a manuscript evaluation from an expert, either a literary consultancy or an editor rather than what we think of as beta reading. But it is, it’s kind of the same thing. I mean, if money changes hands, they’ve got an more of an obligation to you, and they may be, you may be choosing to do that because they have more expertise. It’s certainly something you can do. Manuscript, formal manuscript evaluations are very useful, I think, for beginner writers in particular, you can learn an awful lot more from that process, I think, than from taking a course and yeah, so it’s optional, but I think our classic sort of beta reader situation, they do it for the love of it, you appreciate it and I definitely think a gift is called for at the end of the process. If it’s not money. So we’re going to continue this chat, folks, over on Twitter. We’re going to have a Twitter chat now. So if any of you are tweeters, it will be great to have you on the ALLi, sorry, excuse me, the ALLi Twitter account, which is @Indieauthoralli, the two of us will be there up to about eight o’clock. So if you’ve got specific questions about your own situation or anything like that, please do follow us on over onto Twitter. And if not, we’ll see you here in about a month’s time where we will be moving on to the editorial process. How do you choose a good editor? What kind of editor do you need? What’s the difference between the different kinds of editing and any other topics and suggestions you have around the very broad topic of editorial. So thank you for being with us, until then, over and out. Bye bye. Howard: I’m Howard Lovy and you’re listening to Inspirational Indie Authors. She has written such bestsellers as Lipids: Facts and Functions, What Are the Main Functions of Cilia & Flagella? and you can’t forget the classic, What Are the Primary Functions of Phospholipids? I’m talking of course about J. Dianne Dotson, a science writer who is also a science fiction writer. Obviously the titles I just listed are examples of her science writing. 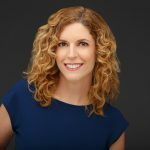 As for Sci Fi, she’s publishing a series of books, the first of which is called Heliopause: The Questrison Saga Book One, and that’s where Dianne shines as one my favorite kinds of science fiction authors, one who actually knows about science. Hello Diane, and welcome to Inspirational Indie Authors. Howard: So let’s take your science and writing journey chronologically. You grew up in rural Tennessee where you became interested in science. What was it about where you grew up that sparked your interest? Dianne: Well, in rural east Tennessee, which is sort of the rolling hills, undulating landscape, I was surrounded by nature, because I lived in the country, so I learned about every tree and animal and rock that I could find and I looked for a lot of them. And so this led naturally to just more curiosity about how everything fit together. And I also became really fascinated in the night sky. And so that sparked an interest in astronomy and astrophysics, which I eventually went on to make a little neighborhood astronomy club to teach my friends about astronomy too. Howard: So then you went on to do some research. What were you studying? Dianne: I attended the University of Tennessee in Knoxville and I obtained a degree in ecology and evolutionary biology and had a major in zoology. And so at first I worked in undergraduate research in a genetics laboratory and after I graduated I worked in other laboratories at other universities and then eventually moved into clinical research. So I kind of took the trip from animal science to, you know, a deeper level of cell biology, genetics. And then I moved back out again and addressed people with clinical research and did that for a number of years and really enjoyed that too. Howard: What was your motivation? What was it about what you were studying that interested you? Dianne: Well when I was studying zoology and ecology, specifically going back to what I said about growing up in east Tennessee, I wanted to know how everything fit together and in ecology you really do learn about how systems all fit together and how everything affects everything else in the environment and you know, from the microscopic to macroscopic level, that just fascinated me and I was just like, “This is my jam,” you know? And I also really loved animals and I grew up next to a farm. And so I was always around animals of all kinds. And I really was passionate about them and their behavior so that lends itself a little bit to my work as well. But I also just really cared very deeply about animals and people and how to make our lives better and how to take care of our world as well. Howard: How did you make the leap from writing about science to writing science fiction? Dianne: Well, I should tell you that I began writing science fiction first. In fact, I wrote my first science fiction novel in my tweens and I finished it when it was about 13 and I had an English teacher who actually was a big proponent of my trying to seek publication for it and we wrote to a couple of publishing companies and Berkeley wrote back with some really wonderful feedback, you know, giving me submission guidelines if I wanted to go forward. And they were saying, you know, “Because you are a young writer, you know, you might want to hone your craft, basically. So I was, I was sort of, all of it was happening together, the science, the science writing, the science fiction and also art cause I was illustrating things as I went too and I think they all grew together in me. I did science writing in school, but it wasn’t until 2006 that I did it for work, as a paid job to do, to be a science and content writer. So it was an interesting journey that I started out really more on the fiction side and then worked my way back to science writing again. Howard: Right, right. That’s what I was thinking about that we finally breached that barrier. Anyway, go on. Dianne: Thank you. Forster starts seeing lights outside of his room window on the station and nobody else can see them but him. And he starts to suffer these terrible migraines with aura, which is the visual disturbance. And he and his coworker Gibbons are realizing that he’s picking up some sort of signal out there beyond the heliopause. And there shouldn’t be anything out there. So it’s really weird and disturbing, but only he and his friend Gibbons can pick it up. So at about the same time a captain of a supply ship en route to the station falls under attack by something out there and it puts him in a state of catatonic torture, but it’s keeping him alive. Another coworker, a mysterious man named Efron thinks that the lights, the signals and the attack are all related and possibly connected to the missing daughter of matriarch Meredith. So Forster, Efron and the other crew of Mandira have to try to stop this force from invading the space station and the rest of the solar system. So it turns out there’s a lot more going on out in space than anyone thought. Howard: There are many opinions about how much science explanation there needs to be in science fiction books, but at some point you just have to suspend your disbelief. Howard: To you, how much of a mix of science explanation and plot development is optimal? Dianne: Well, I would say that it varies with each author. I think that the level of science in science fiction is going to vary depending on what you’re trying to tell, what kind of story, what setting. And so for my series, for example, it’s a combination of science fiction with a touch of fantasy. But even with that, you have to have a set of rules to address both. And when you have something like hard science fiction, hard SciFi as it’s called, then you have to have really extensive grounding with proven science and/or at least, you know, making that cognitive leap that this is a plausible science, that kind of thing. So I have a little bit of that going on. It’s not completely soft Sci Fi, but you know, I have some room to grow in there. And so, like, for my series, I try to keep the stories believable by making them relatable. As I said, you know, Mandira is really far out in space in the solar system. So if you have a job there, you’re making a commitment because it takes time to get back and forth to the rest of the solar system. Like the nearest major base to them is Ganymede, which is an outer solar system moon and so that’s not exactly, you know, you can’t just like, you can’t warp there, you know, so you have to plan a time. We do have faster speed travel than we do right now, you know, otherwise that would be really not feasible. So, and we do have AI in this universe that I’ve made and it’s used in various ways. We have robot assistants and so, but for plot development I like to blend the realistic with the fantastic. And so I’m using the characters wants and needs to make their environment and their situations more believable. And even this is kind of a subplot, it’s kind of funny. One of the characters has this obsession with making coffee that’s not terrible because, you know, they’re really far out there. They have limited resources, you know, the supply runs only come so often. They have a conservatory so they can grow some plants but they don’t exactly grow coffee beans cause it’s not considered a necessity, although we may think it is. Howard: But the technology is there to help the humans cope and that’s very much a the human story. The coffee story is great because that’s a very human need and want. Howard: Yeah, and you know, one pet peeve of mine with science fiction and I love science fiction, ever since I was a kid is some hard science fiction will take pages upon pages to try to explain in detail every bit of an invented technology. Howard: And I think it’s aimed at other tech geeks who will say, “Well, what about this? And what about that? And why didn’t you think of this? Until the story is just lost. Dianne: Lost in the weeds. Dianne: Related to that, I wanted to mention, I was talking about Medic. I hired an artist to do a picture of Medic and because he’s an artist, he’s going to think about things differently and he read the text of the book, right? And my description of Medic, which was brief and so like he took it and he ran with it because I left him the playground. I left him some basic tools and he took it and he made it into something incredibly special and detailed and thought out the conception of how Medic would work on this station. And so that’s one thing I like to do in my books is I want to give you a framework of science and science fiction, but I also want you to have your imagination and go crazy with it. Howard: And, you know, I was on your website then they looked at one of your book signings you happen to meet a Mars geologist and that must have been quite a discovery for you as a scientist or a science fiction writer. And so it looks like you, you played reporter there and then what did you learn from him? Dianne: So it was just a complete delight. I’m sitting there, it’s the end of the signing and people were coming up to get their book signing, you know, I had given a little bit of a talk about Heliopause. So he comes up and he says, “Oh, you know, by the way, I’m a Mars geologists.” I’m like, “Whoa.” And then at that moment, then I finally noticed there was a badge on his arm that said NASA. And I’m like, “Okay, this is amazing.” It was an incredible moment for me because, you know, I was always interested in astronomy and so to actually meet someone who worked in the field, that was a first, and I went on to interview him on the blog so you can find that interview. It’s called Ask A Mars Geologist under my science writing articles tab on my homepage, which is jdiannedotson.com and so I asked him in the interviews some in depth questions about how and why he became a Mars geologist and what tools he might use. And you know, what’s it like to wake up and just go in and be a Mars geologist. What do you do? And so from there I learned from him Martian features that I didn’t know about and I knew some, because I do have an interest in Mars, but Danny specializes in Mars volcanoes. So we talked a lot about that. And just every aspect of what he’s doing fascinates me. Howard: Science fiction can basically be divided into optimistic and pessimistic visions of the future. And I think I know the answer to this, but I want to hear you say it. Which are you, are you optimistic or are you pessimistic? Howard: The best and most lasting science fiction stories are the ones that are, at the heart, human stories. And it sounds like that’s what you’ve achieved here. Howard: Well, thank you, Dianne. I appreciate you talking to me. Dianne: Thank you so much for having me. I can’t begin to say how critical it is to find a Beta-reader who loves reading a good book, but hates seeing bad grammar and bad punctuation. Their help in reading your book and marking in Yellow where changes need to be made will be priceless in the final draft you upload onto Amazon. Once a bad review is posted on Amazon, it will be there until you have passed away. It will discourage others from buying your book, even after you have made improvements on the grammar and punctuation later. A good example of bad grammar in one of my books that my Beta-reader caught was…. I meant to use the word chicken, and because Word Office 2016 saw the word was spelled correctly, it didn’t tell me I was using the wrong word. Making sure your use of comma’s, apostrophe’s and quotation marks are all in the proper place is critical. Using a different set of eyes reading your book will make your book so much better in the end. I wish I knew about the importance of good grammar and punctuation 9 years ago.